Taylor Reach NPS Score +100 | The Taylor Reach Group Inc. Customer Satisfaction is critical for the success of any organization, and Taylor Reach is no different. 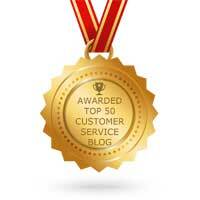 Each member of the team strives to delight our customers and exceed their expectations. To gauge the satisfaction of our clients we employ a customer satisfaction survey and all of our clients are asked to participate and complete a survey. 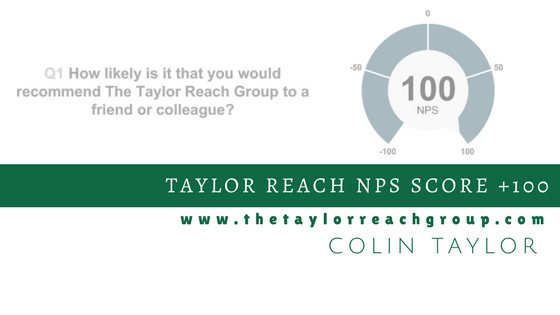 The results we achieved so far in 2016 have blown us away… our NPS score is an impressive +100, a perfect score! This score is truly remarkable as “a Net Promoter Score of +30% is truly excellent” for B2B firms according to Deep Insight. Circle Research has indicated that score of +35 is the top quartile of all B2B NPS scores. To say we are delighted would be an understatement. Thank you to all of our clients that participated in this survey. We are honored to have our customers give us this vote of confidence. We will continue to work hard to earn and retain your trust and patronage.